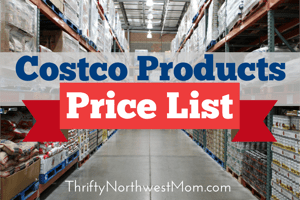 If you’re looking for a gift for someone or needing to find ways to cut costs on dining out & entertainment, Costco has a variety of discounted gift cards for restaurants, entertainment options, stores and more. It’s rare to see discounts on gift cards with the exception of gas rewards at stores such as Safeway & Fred Meyer (which is also a great way to save), so we love that Costco is always offering new options for gift card savings. We are sharing some of the gift card offers we have found at our location to give you an idea of the types of gift cards and savings you might find at your local Costco store. 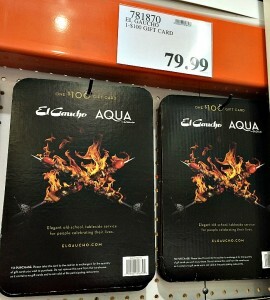 Note: These gift cards were found at my local South Puget Sound Costco store (Puyallup). 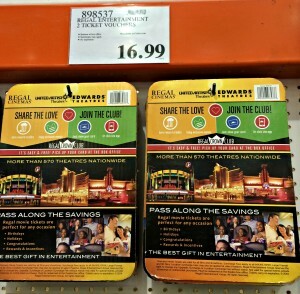 They will vary by Costco location, especially for local restaurants & entertainment. 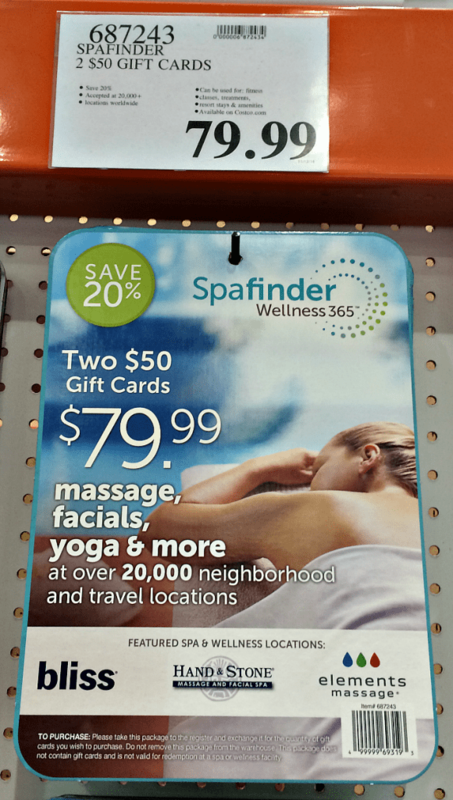 Spa Finder Discount Cards – 2 $50 Gift Cards for $79.99 (save 20%) – This would make a wonderful gift for that special someone & this way they can choose whether they want a massage, facial & more and decide on the location as well. Perfect for Mother’s Day or Father’s Day coming up. 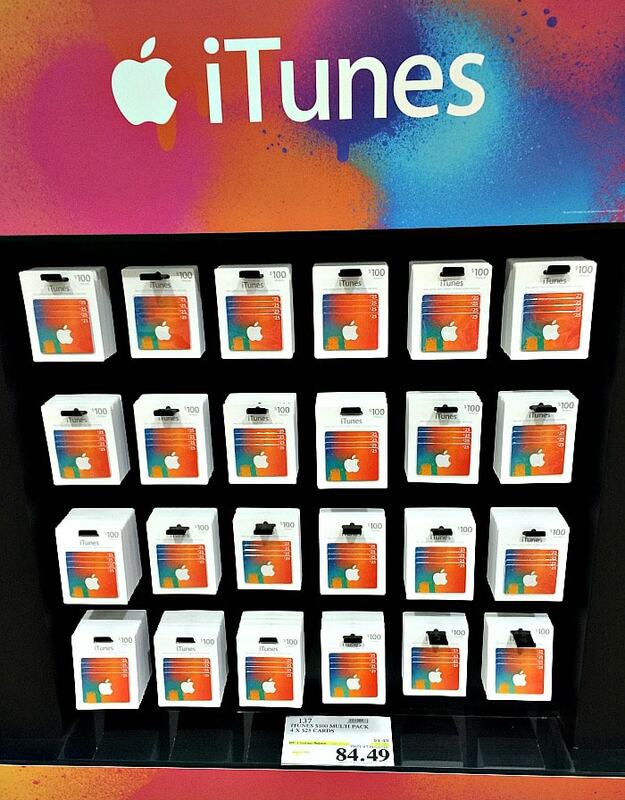 iTunes Multi-Pack Gift Cards – (4) $25 Gift Cards ($100 value) for $94.49 . I love that these are a multi-pack so you can use them for multiple gifts if you want. iFly Seattle Gift Card -$39.99 – 1 Flight Package includes 2 1 minute flights and 1 video clip. This is a savings up to 41% off. 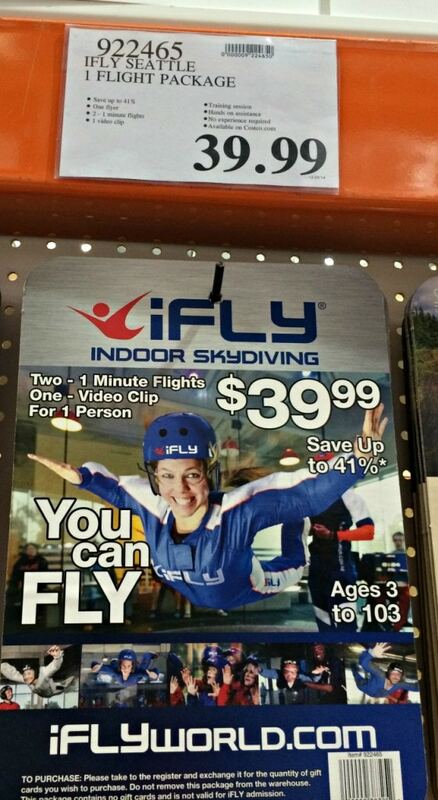 iFly Seattle is located near the Southcenter Mall/Tukwila, WA. I think this would be an awesome date idea – pick up 2 of these gift cards at Costco & have a memorable date maybe for a milestone birthday or just wanting to check something off your bucket list. Who knows, it may even give you the confidence to do the real thing sometime, too! 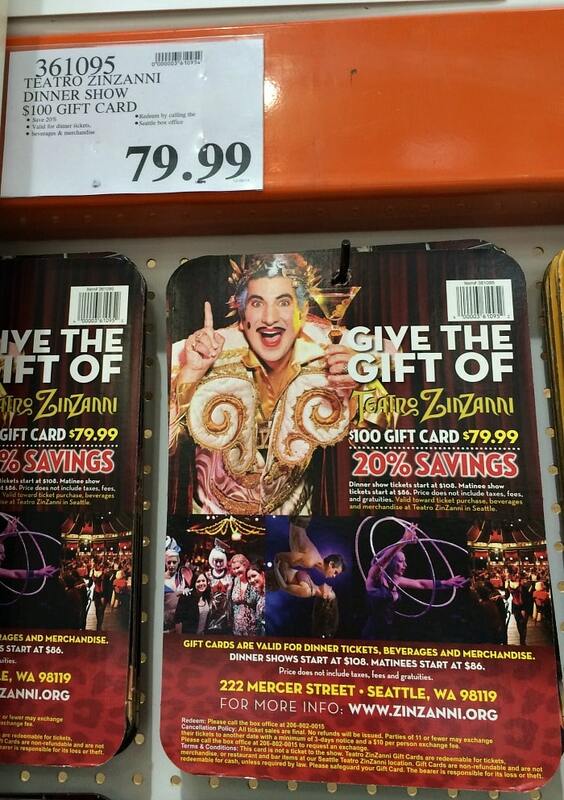 Teatro ZinZanni Dinner Show $100 Gift Card – $79.99 (save $20) – This gift card is valid for dinner tickets, beverages & merchandise. Dinner shows start at $108. This is a 3 hour dinner theater show that features cirque, comedy & cabaret plus a multi-course meal. Another fun date night idea if you’ve been wanting to check this out. It’s right across from the Seattle Center/Key Arena area in Seattle. Coldstone Creamery (4) $15 Gift Cards – $39.99 (reg $60) – This is a great discount for Coldstone. Remember you can combine the gift cards with coupons, too, if you find them. A nice treat for a date night out or maybe take the whole family to Coldstone. El Gaucho $100 Gift Card – $79.99 – This would be a nice dinner date and a great savings of 20% off, a rare find for El Gaucho. There are locations all around the Northwest, too, so you can buy it at any Costco that offers this gift card & then use at any of the El Gaucho locations. Restaurants Unlimited – 2 $50 Gift Cards for $79.99 (savings of $20) – These gift cards can be used towards the following restaurants: Scott’s Bar & Grill, Stanford’s Restaurant & Bar, Stanley & Seaforts, Cutters Crabhouse, Palisade, Palomino . I love this gift card set as it’s 2 different gift cards so you could use it either towards 2 different restaurants & 2 date ideas or use one of them & give the other as a gift to someone. 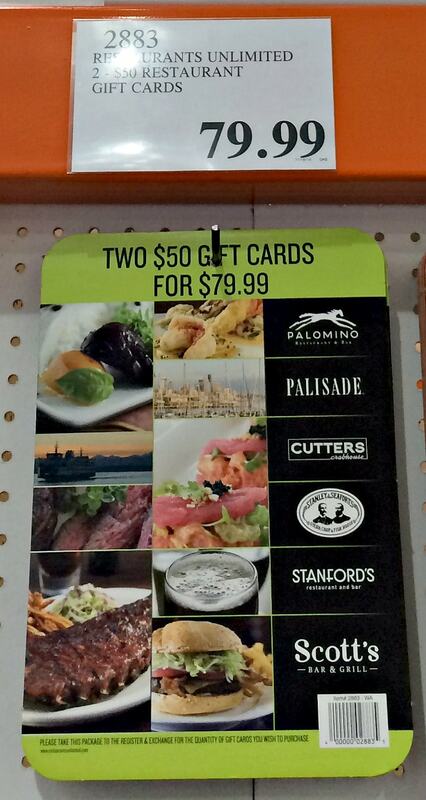 Or in some cases, you may want to use both gift cards at 1 location for a really nice dinner. 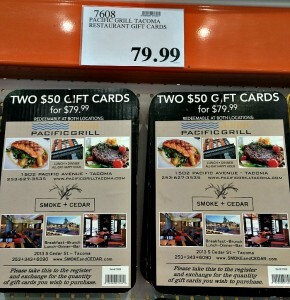 Pacific Grill / Smoke + Cedar Grill (2) $50 Gift Cards – $79.99 – Another great date idea if you live in the Tacoma area. These are just some of the discounted gift cards that I found at my local Costco store. Every Costco store will be different and vary in the gift cards they offer, so this is just meant to show you the kind of discounts and gift cards you can find. 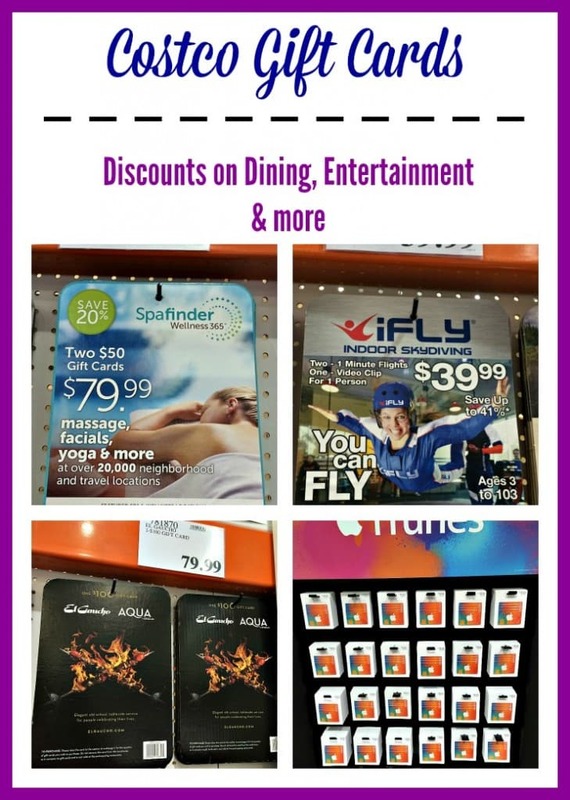 As you can see, though, these are great discounts on many locations that rarely offer discounts, so it’s a great way to save, whether you’re buying a gift for someone or wanting to save money on dining or entertainment. 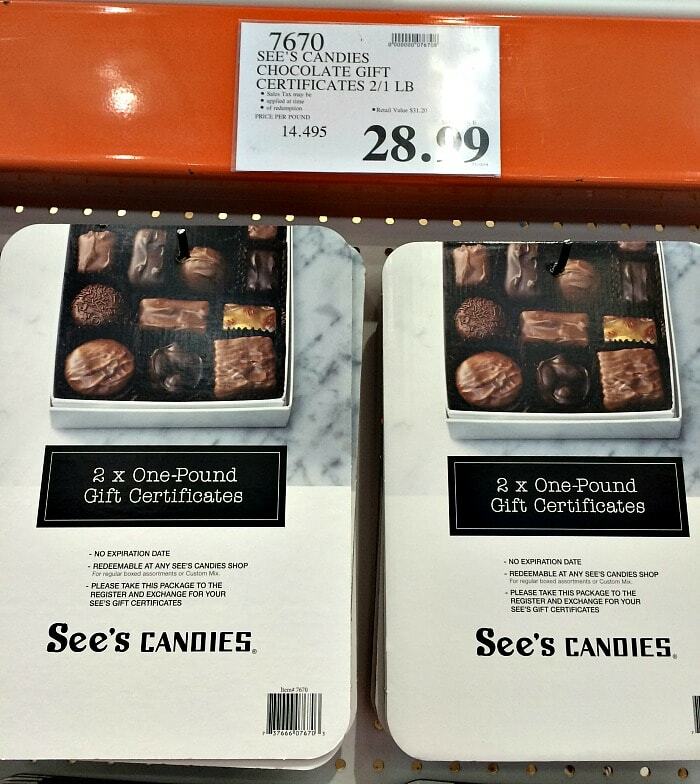 Let us know your favorite discount gift cards at your local Costco store!